Save! Before it’s too late! Scientists predict the first person to live to 200 has already been born. Therefore, Sanlam’s future-facing "The 200-Year Old" podcast series delves deeply into the implications of a post-ageing society, looking at cyclical retirements, the rise of new social currencies, the price of personal data and more. Radical life extension means the predetermined life track we currently follow will have to fall away, rendering big changes to pensions, inheritance and life insurance. Currently, we study, work and then retire. In the future, we’ll probably perpetuate the cycle, embarking on multiple careers with numerous periods of "semi-retirement". Earning income when you’re well into your second century will get complicated, especially as roles are taken over by AI or become obsolete. Continuous education will take on new meaning as we repeatedly retrain to revise skillsets to the latest jobs in demand. Anton Gildenhuys, featured expert on “The 200-Year Old” and chief actuary and group risk officer at Sanlam, says there are two possible scenarios stemming from longevity. Either, we’ll be "virtuous" and save more, for longer, to preserve our wealth. This gives society more capital for employment creation. Or there’s a vicious cycle which sees us believing our extended productivity eliminates the need to save, which means less capital is collectively available for things like investment and job creation. This is the first time four generations are working side-by-side. Imagine when there are ten or more. While many may panic that this will create increasingly limited opportunities for upcoming generations, some experts say this isn’t the case. 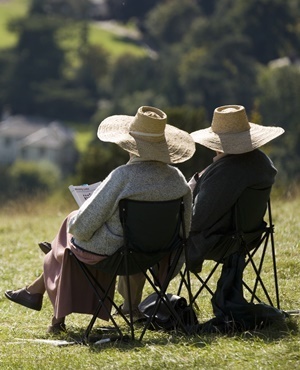 The longevity dividend refers to the benefits society gets from a slower ageing population. Lots of money currently goes towards care for the elderly. So, when people no longer suffer the diseases of old age, that money can go to other things, like creating job opportunities for younger generations. Cryptocurrencies are giving us a taste of new ways to transfer value, but what’s beyond that? One day, could we earn social credit for solving societal challenges? Experts say we may move into a currency of time, ability and imagination, where we’re rewarded for the real-impact contributions we make. Recent data leaks have shown the incredible importance of people’s personal information. There’s talk that data may soon be the ‘new oil’ and another kind of currency to barter with going forwards. At the moment, we’re just beginning to understand privacy and how to control our information. As we master this, and data becomes harder to obtain, it’ll inevitably gain value. Will you have the same partner for 170 years? Maybe. But maybe not. Marriages are likely to change to be blockchain-based smart contracts between algorithmically matched people, with pre-defined contractual stipulations. Couples could, for example, specify that traveling to a new holiday destination once a year is a requirement of their marriage contract. Or they could restrict the number of weekends in a year that would be allowed to be consumed by work. They could even create a very unique and specific list of requirements for activities that qualify as quality time. Further still, couples will have the opportunity to set expiry dates that are up for renewal when, as an example, their children turn 21 years of age. There will be complete freedom and it will be entirely up to each couple to set the terms of their marriage. This could mean the end of divorce and have big consequences for estate planning and maintenance.